My good friend Trish has always been a smarty pants and has fantastic ideas. 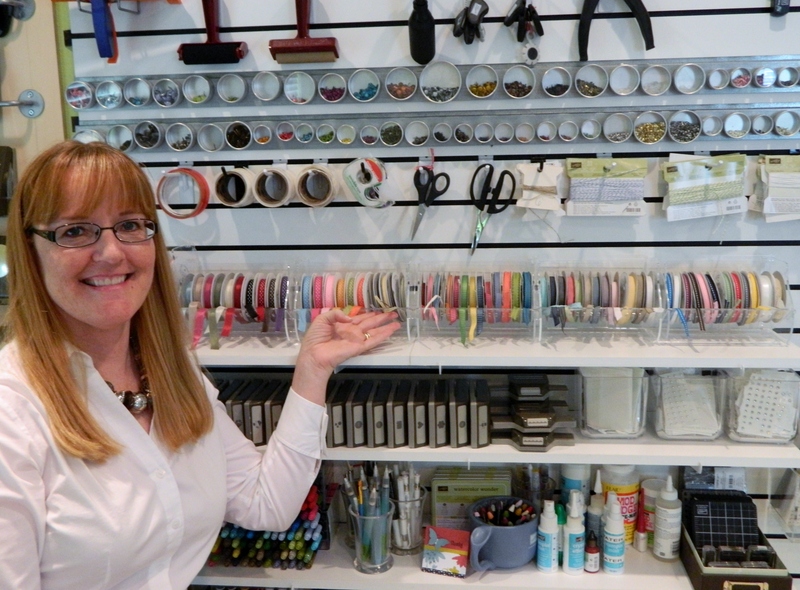 She had this vision to invent ribbon holders and she had a tall wish list. 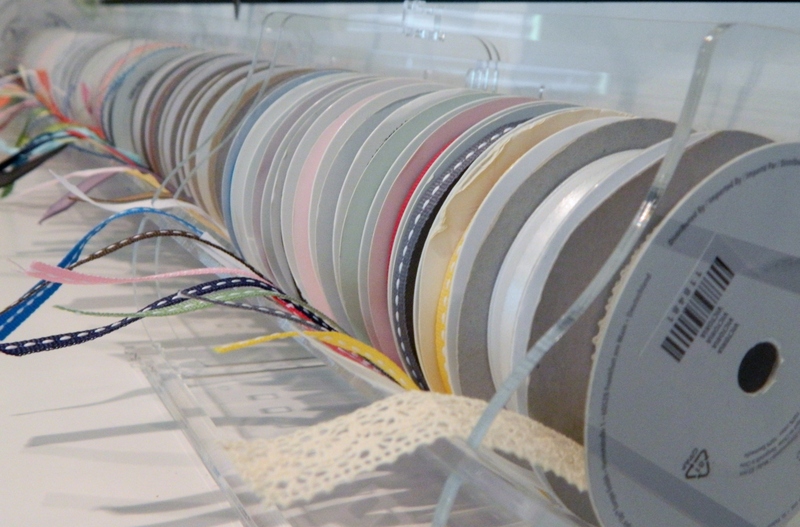 Her husband, Steve, has the invention bug also and together they created the Ribbon Roll Control. Since SU doesn’t carry ribbon holders anymore (and they didn’t work perfectly anyway, so I gave mine away when they retired) I was the first one on her sign up list to get a set! I have every roll of ribbon that SU currently has so I needed 5. I bought 6 (2 sets of 3) so I’d have an extra one for the Holiday catalog coming up and some retired ribbon that I use a lot. Right now SU has small rolls so I could have bought just the Petites but I wanted some of the larger Originals in case SU comes out with larger rolls later. or if you just want to give her a cyber cheer and an ‘way to go girl!’ then you can email her at trish@ribbonrollcontrol.com I know it can be scary just starting out a new business but I believe she’s on to something good! This entry was posted in My Free Videos, Organization: Grrrrr to Great! 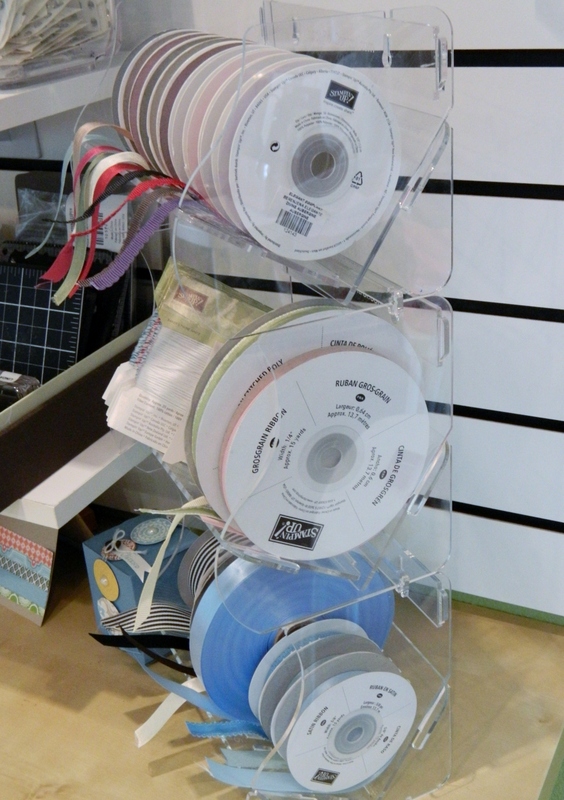 and tagged ribbon roll control, ribbon storage. Bookmark the permalink. This is fantastic! Thanks so much for sharing this, Linda. Wow Linda! I love how nice and organized your craft room looks. I can’t wait to get my ribbon under control:) Thanks for sharing! OMG! That is the best ribbon storage that I have ever seen! Genius! Wow! I am impressed! Very nice product! I need to see the things I have, so I love, love, love your craft room! Thanks for the terrific ribbon organization info. Ordered mine today. This is a long-needed great invention! Thanks for sharing, Linda!!! I ordered these! They are absolutely awesome!!.. I’m so glad! Trish will be happy that you love them! I just ordered them – from Australia! Thanks for letting me know about them.